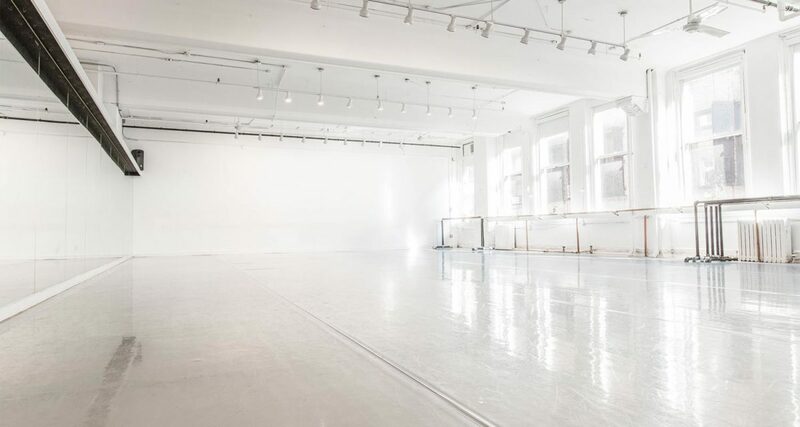 A bright and spacious studio with a clean, streamlined look, Studio 5-2 was Gibney’s original space when it was founded in 1991. 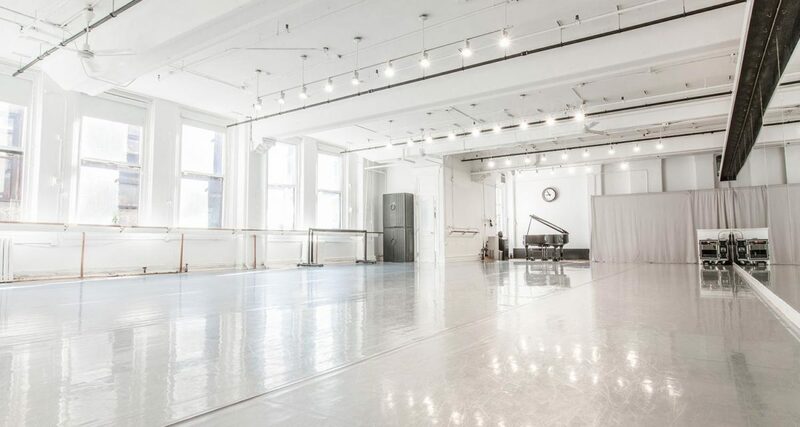 Today, it is the home of Gibney’s Resident Ballet Program and an ideal space for rehearsals, auditions, and photo shoots. The space features large windows, built-in ballet barres and mirrors, a waiting area, a private bathroom, and a Grand Piano. Use of shoes prohibited. Studio 5-2 has been the home of Gibney’s Resident Ballet program since 1991, when it was founded as a partnership between Gina Gibney and master teachers Jocelyn Lorenz and Christine Wright. Today the roster features some of the most skilled and sought-after teachers in NYC, including Sharon Milanese, Kelly Slough, Megan Williams, Janet Panetta, Vincent McCloskey, and Kat Wildish.